Are you a fan of KSLI? 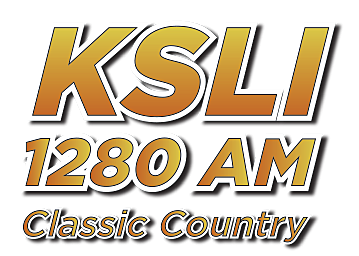 Do you want to work with us while listening to the best classic country music around? We're looking for our next superstar sales person and we want to talk to you. There’s no limit to how much money you can make, we have great benefits and we’ll give you the tools to succeed! If you want to join our team, here’s what you need to do. Fill out the form below and we’ll get in touch with you to set up an interview on March 28th. We only have a few interview times available so don’t wait. Are you Commission Driven? Have a sense of what it takes to win? If you want to grow professionally, can move at the speed of light and still have fun - Well then we want to talk to you! Townsquare Media Abilene is looking for a dynamic sales executive to join our media and digital advertising team. You will be selling local advertising for our innovative stations. Prospect for qualified local and regional businesses; conduct thorough Customer Needs Analysis (C N A); present and close appropriate marketing solution programs. These programs may include any of Townsquare Media’s many assets for clients: Broadcast and Online radio, digital products such as display, streaming, loyalty programs, e-commerce, audience extension and digital marketing services. Leverage our live event platform through sponsorship and sales programs to new and existing clients. Create new relationships with local and regional businesses in our area. Work with local and corporate marketing teams to develop campaign support materials. Responsible to accurately project revenues, meet and exceed monthly budgets for all product lines and overachieve annual budgets. Enter new customer data and other sales contract details for station clients. Follow accountabilities set forth by your Sales Manager to help guide you to success achieving monthly sales quotas consistently. Provide insight and value to executive management to shape the future of our organization. Goal oriented, a strong work ethic and a strong desire to learn. Previous sales experience- A history of success with customers and a proven ability to develop and grow revenue. Knowledge and experience with digital media. The successful candidate will be smart, curious, tenacious, entrepreneurial, independent, passionate, and enthusiastic, and work with urgency to meet deadlines. Accomplished at prospecting and qualifying. Ability to engage clients quickly and develop rapport, with excellent communication and problem-solving skills. Associates/Bachelor’s business/marketing-related degree or equivalent experience. Valid driver’s license, auto insurance, and vehicle required. Opportunity for Upward Mobility- The growth opportunity is great. TSM is a fast growing public company offering unlimited earning potential to our managers and salespeople.